DEPARTURE CLEANING: Cleaning at departure is mandatory on all vacation rentals with Ocean Drive Beach Rentals. This is how we ensure that each unit is property cleaned and sanitized before your arrival. An additional cleaning charge will be added to your property. Prior to your departure, you are required to (1) carry out all garbage, (2) secure all doors and windows, (3) remove all items from the freezer and refrigerator, (4) gather all linens and place in one bedroom, and (5) run the dishwasher and return items to their original place or leave dishwasher in a washing cycle. If you are renting a home, please observe the assigned Trash Pickup Day and take all garbage bins to the curb the night before. Failure to do so will result in trash removal charges. For most homes, trash pickup is Monday and Friday. LINENS: Linens are included with rentals and cannot be removed. Guests are welcome to bring and use their own linens, however upon arrival all linens will be at the property and beds will be made. We charge one fee for the combination of departure cleaning and linens, and these cannot be itemized separately. Linen package includes sheets and pillowcases for all beds plus sleeper sofa (if applicable), one bath towel and wash cloth per guest (based on max occupancy of property), one bath mat per bathroom, and one kitchen towel. In some cases we can provide extra towels at $3 per piece but during peak rental times please plan to wash and reuse linens and towels. Towels are not to be used on the beach, and guests will be charged for missing or damaged sheets and towels. 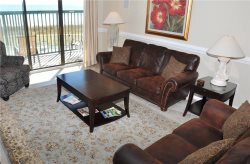 RESERVATIONS: During the summer peak rental season in North Myrtle Beach, which runs Memorial Day - Labor Day, reservations are booked on a weekly Saturday - Saturday basis. However, we can take nightly reservations of a two night minimum, within 7 days of your planned arrival. An initial payment of 50% of your base rent (plus travel insurance if selected) is due within 5 business days of booking. We accept major credit cards, money orders, e-check, or checks payable to Ocean Drive Beach Rentals. Checks must be received within 5 business days, made payable to Ocean Drive Beach Rentals.Your balance is due at least 30 days prior to arrival and is not automatically charged to your credit card. Returned checks will incur a $35 bank fee for each occurrence. No checks or e-checks will be accepted on arrival, and check-in will not be granted unless the reservation has been paid in full. On reservations booked within 30 days of arrival, only credit card payments are accepted. Upon receipt of payment, we will email or mail a confirmation showing your rental cost and taxes. Please review this letter carefully to ensure the information, including dates and unit information, is accurate and acceptable. OCEAN DRIVE BEACH RENTALS PRICING STRUCTURE: Maid Service is mandatory on all our vacation rental properties. This is how we ensure that they will be clean and ready for your arrival. There is also a reservation fee added on to all our rentals, which will vary depending on the size of your property and length of your stay. Some fees are pro-rated for shorter stays for certain properties. Travel insurance is offered through Travel Guard at 7% of the total reservation cost. Taxes currently stand at 12%. The advertised price you see on our website is the base rent, before the addition of maid service, your reservation fee, and taxes.